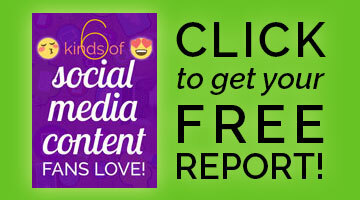 Need a Facebook Cheat Sheet? Here are ALL Facebook sizes and dimensions on a comprehensive infographic, updated May 2015! I’ve checked as of February 2016 – these sizes are still valid. Pin this to refer to time and again. Click the links above for more info on each topic. And grab a free Facebook cover photo template here. 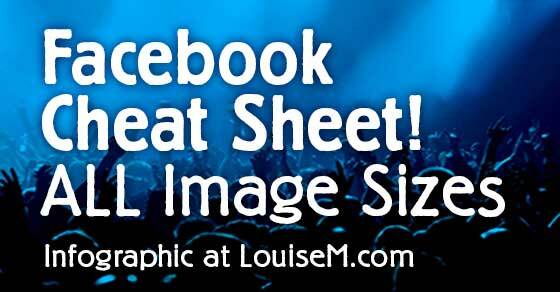 If you find the Facebook sizes & dimensions helpful, share this Facebook Cheat Sheet with a friend! Wow, this is fantastic! Thank you for sharing. I wish they had just standardized everything but cover image to a square. Facebook excels at making things confusing 😉 I’m glad you found it helpful, Sean. Hey Louise, Thanks for sharing our infograhics. I am happy to see that you liked our characters in infographic. I believe this will be valuable for all your visitors. Yes, lots of love for it so far, Christy! I have it as 810 wide by up to 1200 tall. But these aren’t used much any more. This is the very best illustration of dimensions I’ve seen. Nice!!!! thank you for your information. I’m still a bit confused about what will be shown of my 1200 x 444px event picture. I would love to have a photoshop template to see what will be cut off where. Do you have one?